Urban Africans contend with a great deal of noise day in and out. 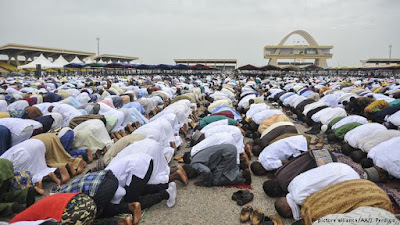 In a bid to curb noise pollution, authorities in Ghana want Muslims to use WhatsApp rather than loudspeakers for the call to prayer. Chaotic traffic, speakers blasting music, street vendors and thousands of people going about their business are typical on the streets of most of Africa's big cities. But in Ghana, mosques and churches are seen to be compounding the problem of excessive noise. 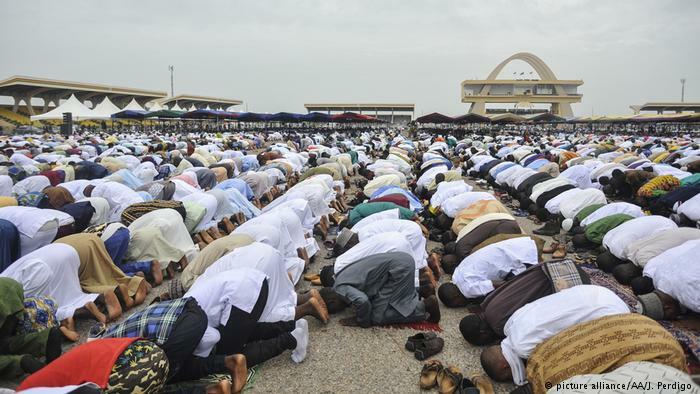 In the capital Accra, authorities are seeking to deal with the racket caused by these places of worship — and mosques in particular. Mosques are being asked to use mobile text or WhatsApp messages to call the Muslim community to prayer. "Why is it that time for prayer cannot be transmitted with text message or WhatsApp? So the imam would send WhatsApp messages to everybody," said environment minister Kwabena Frimpong-Boateng. "I think that will help to reduce the noise. This may be controversial but it's something that we can think about'. The government says it is hopeful such a change could contribute to a reduction in excessive noise. For many Muslims living in the capital, the idea of a mobile call to prayer is more difficult to embrace. Fadama community mosque imam, Sheik Usan Ahmed, calls Muslims to prayer five times at prescribed times throughout the day. Although he agrees that the level of noise could be reduced, relying on text and WhatsApp messages could also have economic implications, he told DW. "The imam is not paid monthly. Where would he get the money to be doing that? We try to practice what is possible. So the text message or any other message is not a problem. But I don't think it is necessary," Ahmed said.